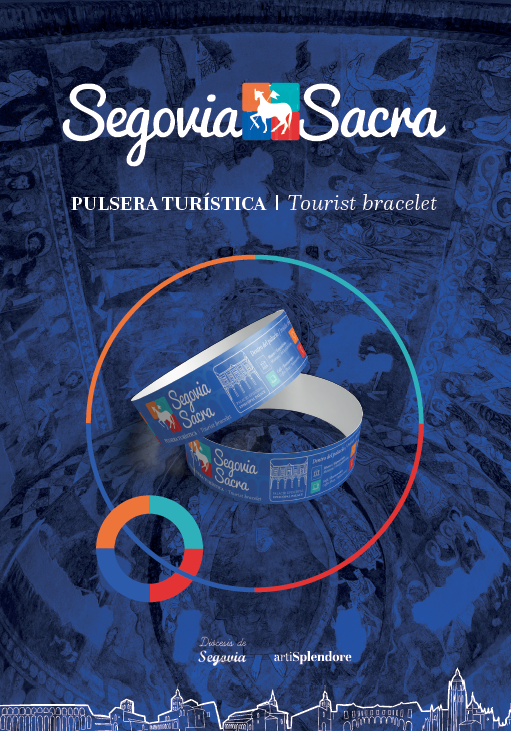 This tourist bracelet encompasses the visit to six monuments of the city (the Cathedral, four churches and a palace), being a unique opportunity for the thousands of tourists who want to enjoy the cultural heritage. In addition to the competitive price, the bracelet incorporates the use of audioguides in six languages ​​with quality content adapted to the diversity of the visiting public. Download the complete dossier here. 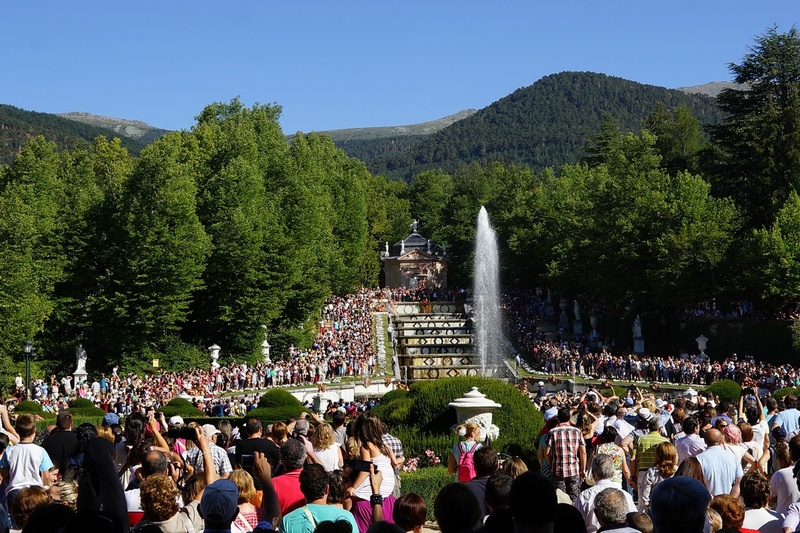 El April 18 of 2019 begins the operating season of the Fountains of the Gardens of the Royal Palace of La Granja of San Ildefonso, coinciding with Holy Week. Thursday 18, Friday 19 and Saturday 20, at 17,30 hours. On Sunday 21 of March, at 13,00 hours. Wednesdays, Saturdays and holidays (not Sundays) at 17,30 hours. They will be launched in two groups: the "Canastillo", "Ranas", "Baños de Diana" and "La Fama", on the one hand, and the "Horse Race", "Eight Streets", "Frogs" and " La Fama ", on the other. 30 of May, festivity of San Fernando. 25 of July, festivity of Santiago Apóstol. August 25, San Luis, Patrón de La Granja. 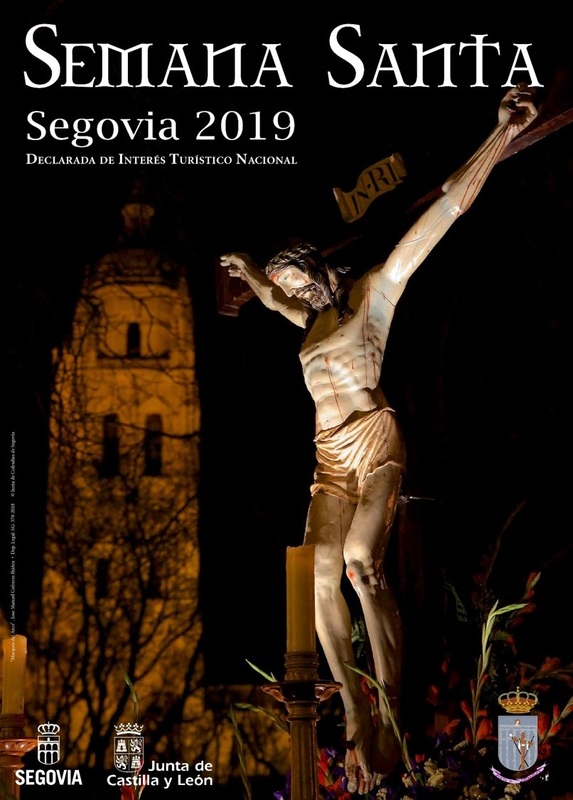 This week has been the presentation of the promotion program of Holy Week 2019, designed by the Ministry of Culture and Tourism of the Junta de Castilla y León. The different actions will be carried out in nine countries: Spain, Portugal, Holland, Ireland, Poland, Belgium, Austria, Germany and Japan. The Autonomous Community counts in its Holy Week with "eight declarations of international tourist interest, of the existing 24 in Spain, which makes it the leading community and international benchmark. In addition, Holy Week in Castilla y León has five declarations of national tourist interest y nine of regional tourist interest". In order to improve and expand the cultural offer, a special program of opening of monuments will be carried out. Without forgetting that Castilla y León is a national leader in rural tourism, both by supply and demand. Complete news and more information in the Tourism website of the Junta de Castilla y León. Continuing with the proposals for revitalization and tourism consolidation of the Villa, from the Department of Tourism presents a new dramatization in the castle of Cuéllar that has opened on 14 day in February and may be known to all public from the 16 in February . The new work, which under the title "The new lord of Cuéllar", has been written and directed by Blanca Izquierdo Salamanca, professional actress versed in many of the works that have been represented in recent years in the castle of Cuellar. The new Lord of Cuéllar presents a plot centered on the final stage of the Middle Ages at the time of the arrival of the first Duke of Alburquerque to Cuéllar and the birth of his first son Francisco Fernández de la Cueva. Beltrán de la Cueva got the Villa de Cuéllar by a concession by King Enrique IV for giving up the Maestrazgo de Santiago in the 1464 year, although it would not reach Cuéllar until two years later. Until the year 1464 the town of Cuéllar belonged to the princess Isabel, future queen Isabel the Catholic, being commuted to the king Enrique IV by means of the payment of 200.000 doubles of the band to his stepsister Isabel. In this work we discover the tensions between the house of the Alburquerque and other noble houses, the prejudices of women in the Middle Ages, the coexistence in the castle between soldiers and servants. All this with an entertaining narrative adapted for all audiences, alternating the narrative of comedy with drama, but without losing its historical sense. The exhibition space. The viewpoint of the southeast tower has been enabled with a sample of weapons (halberds, shields, flags, armors, ...) in memory of one of the largest armories in Spain that was in Cuellar castle. With this exhibition we want to remember the existence of this great armory that the ducal house of Alburquerque had in the castle for several centuries. So in documents that are preserved, even up to the eighteenth century "had around 300 armor and good portion of bronze cannon outfits of various lots, many species of spears, pikes, swords, muskets; different standards, flags and other military preparations ". 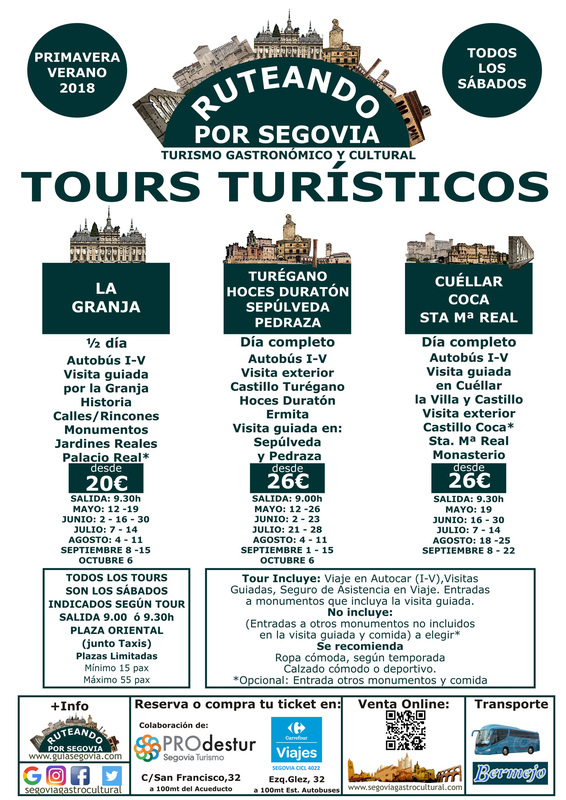 Continuing with the Museums and Monuments that includes the Tourist Card "Amigos de Segovia", we bring you a new entrance. Do not forget to take a look at your Web page. 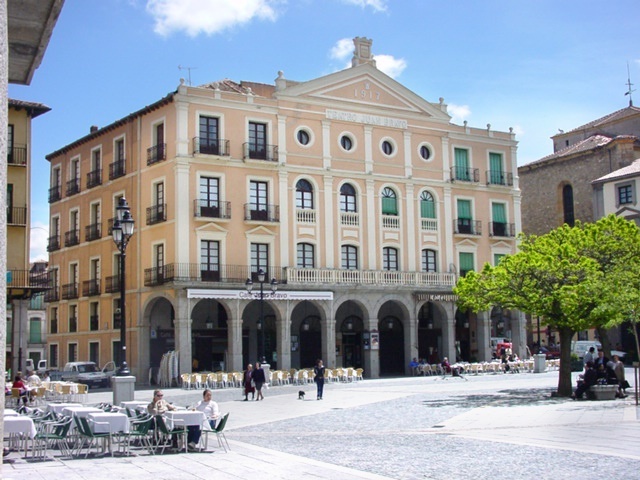 Located in its beginnings in the premises of the Municipal Library and currently in the Socio-cultural Center Doctor Velasco, this museum has half a thousand exhibits, among which are fossils and rocks from the province of Segovia. 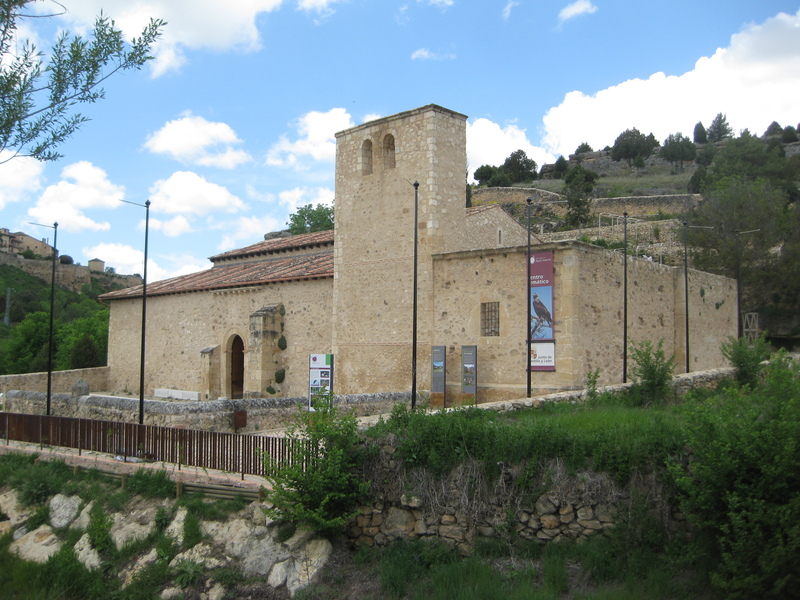 This museum was opened in 1997 thanks to a deposit agreement between Valseca City Council and Andrés Díez Herrero, who donated his private collection (with some 900 pieces). 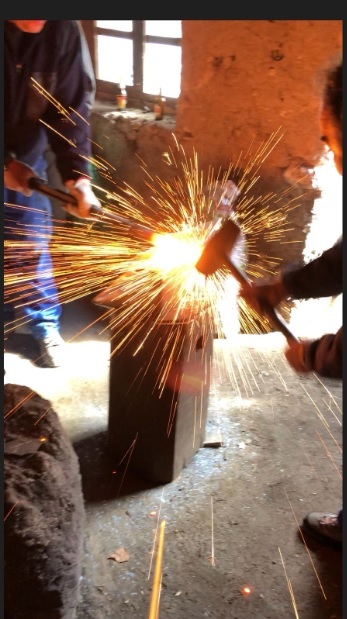 Subsequently, the museum has received other contributions from individuals, such as those of the Ibáñez couple or the stonework tools of D. Pedro de Frutos. The Association of Amateurs of Mineralogy (ASAM) and more recently the Geology Association of Segovia (GSg), are in charge of scientific maintenance and the different didactic-exhibition improvements. A few years ago an agreement was signed between the Diputación de Segovia and the City Council of Valseca for the modernization of the Museum through the installation of multimedia elements and new exhibition modules. 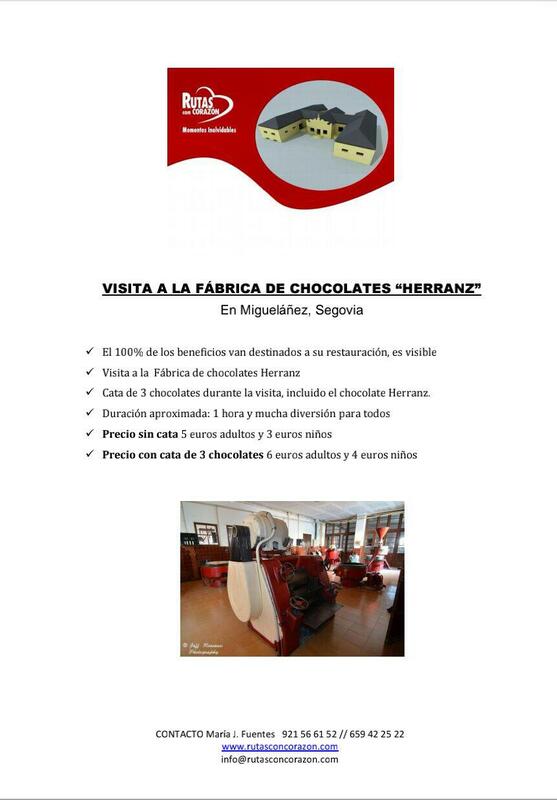 Possibility of guided visits to the collection for groups of schoolchildren and cultural groups (previous reservation). 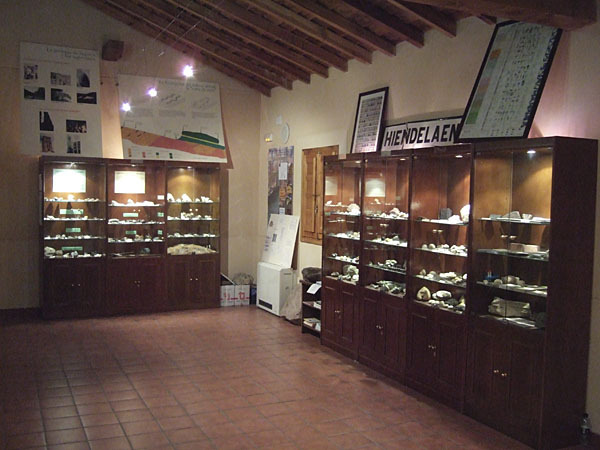 The Valseca Mineral Museum premieres multimedia equipment and geo-route through Los Berrocales from Diputación de Segovia. The bison, a species that has already inhabited the peninsula, as we can see in the different cave paintings of the area will be included in two different Segovian herds: six copies will be taken to the Matarrosueros farm in El Cubillo, and 5 copies will live with the horses of the Los Porretales farm, in Cabezuela. In the first, a couple has already been living for a few weeks to learn about their ability to adapt to the area. 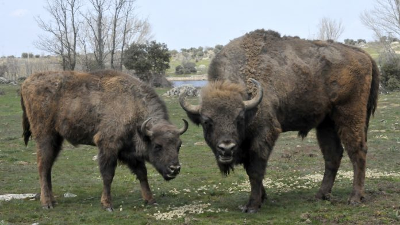 Thus, the six copies can be visited on the farm through guided tours that are made there; anyone who wants to participate in this, can register in the "Safari Ibérico Segovia" and to contemplate a great diversity of fauna, like the new bison, but also wild boars, horses and wild cattle. The initiative has been promoted by the Segovian companies Naturaltur and La Perla cattle ranch, within a program for the development and recovery of the bison because this species has a very good environmental impact; One of the foods of the bison, are the branches, barks and bushes, so it cleans the forest, being a natural ally for the prevention of fires, spreads seeds and fertilizes the grass. Now we must add the possible creation of employment and the attraction of visitors that make the bison, one of the economic resources of these areas.